Here we are at the end of another year so let’s take a look back at the Top 10 Card Making Ideas of 2017. These are the ideas that you looked at, watched, commented on and told me you enjoyed the most. 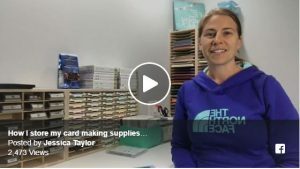 Be inspired & may your 2018 be full of card making fun! 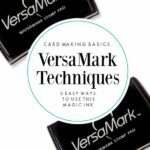 1) 5 VersaMark Techniques: This Ink Pad is MAGIC! 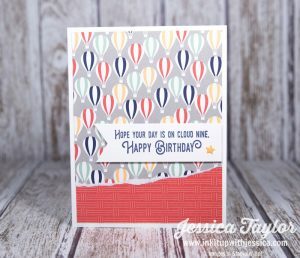 2) THIS will be a game changer for your stamping! 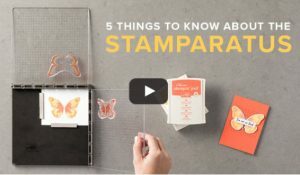 Y’all are just a little bit excited about Stampin’ Up!’s NEW Stamp Positioning Tool called the Stamparatus. And so am I!! To see what’s so great about it watch the video here: www.inkitupwithjessica.com/stamparatus and don’t forget to pre-order yours by December 30th! 3) My NEW Craft Room & Organization! 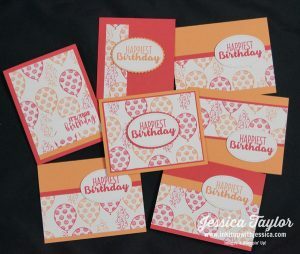 Lots of card ideas for you here! One of the best parts of attending any Stampin’ Up! sponsored event is card swapping. All you have to do is come up with one card idea, make a bunch of that same card and then you swap with a bunch of other people that did the same thing. 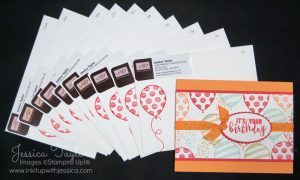 Go with one card idea… come home with many!! 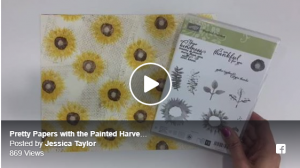 In this video featuring the Painted Harvest stamp set, I’ll show you how to experiment with different color combinations and make your own pretty papers! 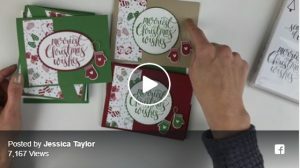 This year we sent out about 500 Christmas cards so I know a thing or two about making them quick & easy. Handmade cards are a great way to lift spirits and show you care. Making cards isn’t just a fun way to spend our time, we can really make a difference by sending cards. It’s so rare now to get an actual card in the mail that it really makes us feel special! 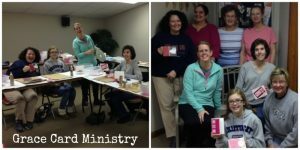 If you make more cards than you send, Grace Card Ministry would love to receive more handmade cards to send out! Just click on the links or photos above to visit any of the posts you missed and be inspired! Thank you so much for visiting my blog throughout the year and letting me know what you like. If you have any questions or suggestions for posts in 2018, please let me know in the comments below! I truly appreciate your feedback. Jessica, I love your ideas and have used several of them. You are so talented. I work a full time Secretary job but would love to have my own business. I love to see and do many other crafts also. Keep up the great work. Thank you Joan! If you would really love to have your own craft business don’t let your full time job stop you. Many people have a full time job and a fun craft business on the side. You could too! Jessica … I love following you on inkitupwithjessica.com. Not all of the ideas are something I can use. However, most of them are so creative … or they spark my creativity! Thank you for sharing so freely with the rest of us who need a “jump start” on our card making.